An update of the 1977 Disney film, Pete’s Dragon is a remake pretty much in name only, which in this case turns out to be a good thing. Taking versions of the original’s two main characters and forging a new path for them, this is a charming adventure that packs a lot of heart into its fleet 100 minutes. Although the original live action and animation hybrid holds nostalgic appeal for some, it’s also a dated product from a more troubled chapter in Disney’s history, making it a welcome choice for an update. Where the first film was bloated and all over the place in terms of tone, this new version feels streamlined, doing away with the musical numbers to become more of a quiet drama that fits with the studio’s current winning streak. After a devastating accident left him orphaned as a toddler, Pete (Oakes Fegley) has been living in the woods for several years, with a friendly green dragon named Elliot to both protect and raise him. Then Pete is discovered by forest ranger Grace (Bryce Dallas Howard) and her boyfriend’s daughter Natalie (Oona Laurence), whose father Jack (Wes Bentley) works for a logging operation in the area overseen by his brother Gavin (Karl Urban). Their small town is shaken by the boy’s mysterious reappearance, and it’s not long before word gets out about the dragon. Although Grace’s elderly father (Robert Redford) tells tales of having seen the infamous dragon himself years earlier, and is one of the few townspeople who wants to protect him, Gavin becomes determined to hunt the creature. Pete becomes desperate to save his friend Elliot, who is threatened by human fear, and the greed that is driving the increased logging of his supposedly protected forest. Directed by David Lowery, a Sundance favourite who also made Ain’t Them Bodies Saints and edited Upstream Color, Pete’s Dragon is an all too rare live action family film that feels totally genuine. Although made within a studio system, the film retains the director’s more indie sensibilities, especially in the surprising opening scene. The focus is kept on the characters first and foremost, drawing fine performances out of its cast of both established adults and young newcomers. Shot in New Zealand, it features lovely cinematography, yielding results that are visually sumptuous to watch. The special effects that bring the titular dragon to life are also excellent. Elliot is a beautifully animated creature, interacting seamlessly with his live action surroundings, while still retaining a dog-like and adorably anthropomorphic look. 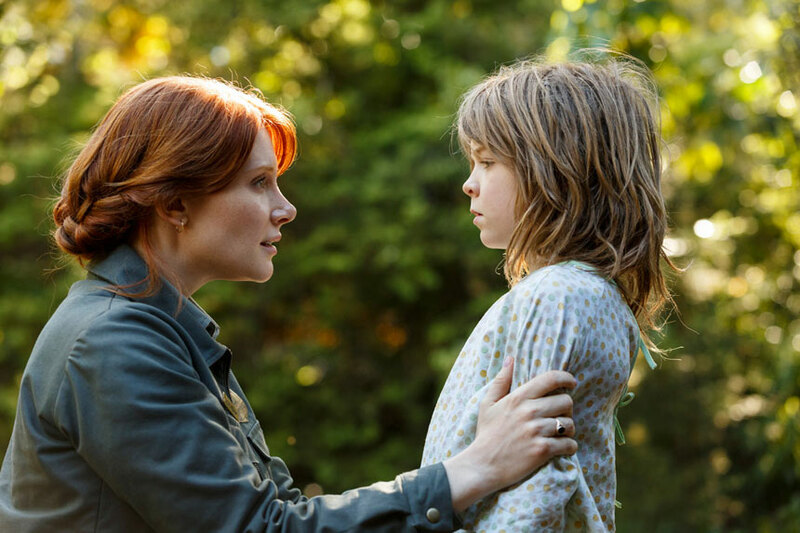 There are a lot of themes about belief and childhood magic, and Pete’s Dragon indeed feels like a throwback to a time when things were simpler, and to a type of film that doesn’t really get made for kids anymore. Set in an indeterminate time period that could very well be the 1980s, it captures the tone and feel of those classic kid pic adventures, even if it doesn’t quite scale the heights of E.T., which it takes much inspiration from. I liked Pete’s Dragon. This is a rare remake that improves upon the original, and in a summer movie season that has had a lot of loud and cynical stuff, the film’s quiet and bittersweet charms feel like a refreshing change of pace. Although the fairly simplistic narrative skews a little young, Pete’s Dragon has its heart squarely in the right place in its story of both the deep bonds between a boy and his dragon, as well as parents and children. This is an enjoyable, all ages adventure that is pleasing to look at and offers plenty of heartfelt moments for viewers both young and old. 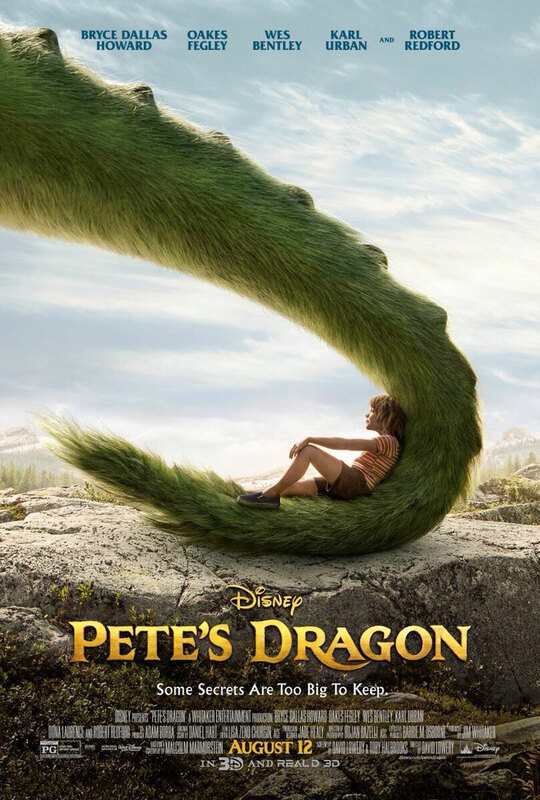 Pete’s Dragon is a story of a boy who after losing his parents in a horrific car crash on a backwoods road, befriends a dragon named Elliot, who helps him survive in the woods for 6 years before he is spotted by a group of forestry workers. Once in the town, Pete (Oakes Fegley) is desparate to return home to the woods, but as the townsfolk find out about Elliot, Pete has to help protect his dragon, while also learning how to deal with the first people he has seen in years. The film is based on the old cartoon from 1977, something I’d forgotten while watching this new adaptation (which is way better in my book). The film takes a refreshing slower pacing for family fare, and makes for a great film to take the whole family to for the end of Summer. It is well cast and acted, and for those interested in the 3D, it is well used for the dragon flight scenes. Elliot the Dragon himself is also well animated, with just the right level of cuteness to appeal to audiences. While the script does gear younger, I really did enjoy this film. The forest backdrop makes for good cinematic scenery and the story, while predictable, has a nice level of tension and emotion. It is also worth noting that the other members of the audience I saw it with (many children included) seemed engaged throughout and that is the important thing especially with a family-geared film. Overall, Pete’s Dragon is an enjoyable film that I would recommend checking out. Pete’s Dragon has nothing in common with that other Disney film from almost 40 years back, and that’s a good thing. Five year old Pete finds himself stranded in the woods after losing his parents in a car accident. He is taken in by the dog-faced dragon he calls Elliot and over the next six years lives the feral jungle boy dream with a comfy treehouse and cave. Now about 11, Pete (Oakes Fegley) observes forest ranger Grace (Bryce Dallas Howard), whose father (Robert Redford) likes to tell stories about dragons he may or may not have really seen. Her boyfriend Jack (Wes Bentley) and his brother Gavin (Carl Urban) are loggers. Without official approval, Gavin’s operation is encroaching on Elliot’s territory. When Jack drops by the logging site with his young daughter Natalie (Oona Laurence), she sees Pete and chases him up a tree. The prospect of Pete going back among humans and the fate of Elliot hunted by Jack and his boys provide lots of excitement. Filmed in New Zealand standing in for a northwest forest, Pete’s Dragon will appeal to a younger audience with its simple sweet story and good action scenes, though it is not in the same league as other films to which it might be compared, such as E.T. or Jungle Book.